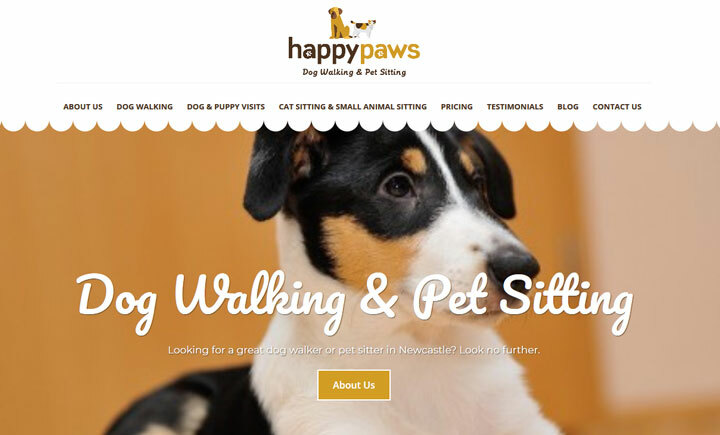 Happy Paws is a professional Dog Walking service based in Newcastle upon Tyne. We offer a flexible, personal dog walking and pet sitting service, tailored to meet your needs. Happy Paws is open for dog walking seven days a week, although availability is limited for dog walking at weekends. We don’t charge a premium for dog walking and cat sitting services at weekends or bank holidays. We’re a fully insured professional dog walker, cat sitter and small animal sitter, DBS (formerly CRB) checked and certified in pet first aid and CPR. Happy Paws also covers Gosforth, Kingston Park, Jesmond, Fawdon, Great Park, Ponteland, Kenton, Westerhope.